Welcome to a Doom Patrol-less installment of the Young Animal Gatherum! No worries though, we've got the rest of the line-up to keep us company... a couple of 'em twice! Hello again, fellow human scum! 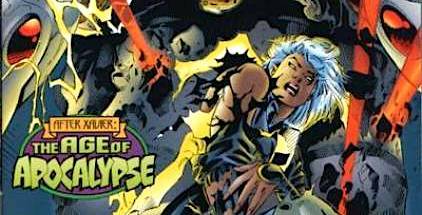 In this episode, wastrels Chris (@AceComics) and Reggie (@reggiereggie) dive back into the vicious nightmare that is Marvel Comics' 1995 X-Men-based comic book event, The Age of Apocalypse! 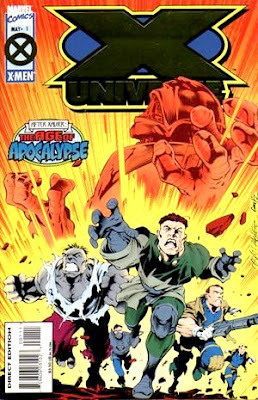 Today we learn about what's happening outside of the mutant class, checking in on the other characters--and providing complete biographies for--appearing in X-Universe #1 and #2 from 1995! 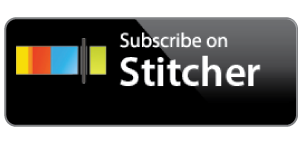 There's a lot to dissect as they try to provide context for the shocking character changes presented in these issues, so you won't be blamed if you need to listen to this episode several times! Today we bring you good news... and better news! 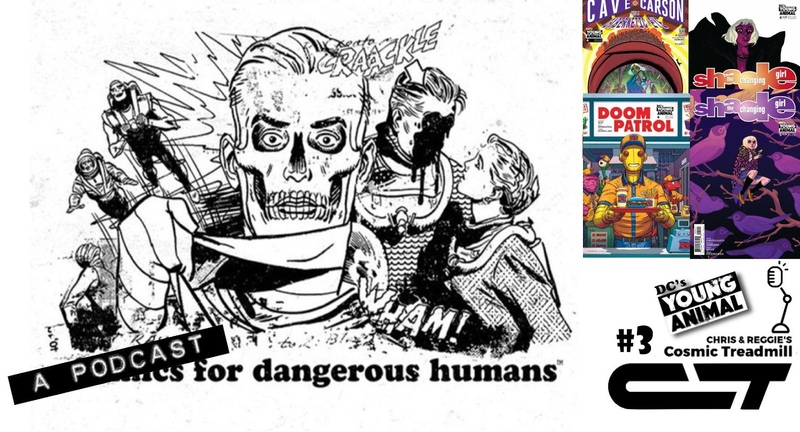 First the good news... this episode does include an issue of Doom Patrol. The better news? It does not include an issue of Mother Panic! That there was a book your humble hosts, Reggie (@reggiereggie) and Chris (@acecomics) did not enjoy right out of the gate! Greetings, and welcome back to the bleak nightmare that is our near future! 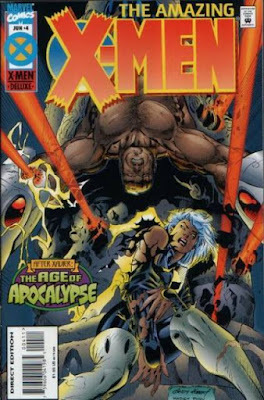 In this episode, blink watchers Chris (@AceComics) and Reggie (@reggiereggie) delve back into the alternate present that is Marvel Comics' Age of Apocalypse event, running through the X-Men line of books in 1995! Our Sliders wrap up Gambit and the X-Ternals, X-Calibre, X-Man, and Amazing X-Men, with special attention to Amazing X-Men #4 by Fabian Nicieza and Andy Kubert! We're all set up for the grand finale, folks, so you don't want to miss a moment of this future that (hopefully) will never be! 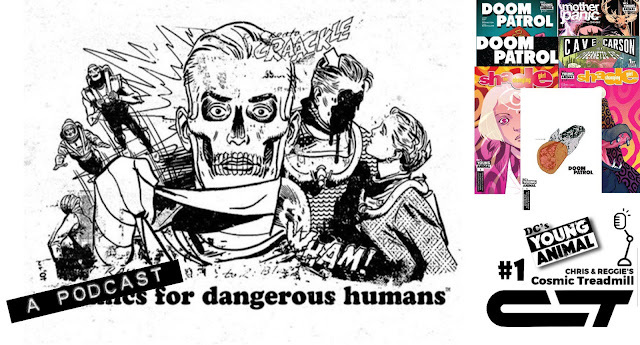 Welcome to the second installment of our deep-dive into DC's Young Animal imprint... and we're already missing Doom Patrol! This will become a trend... and will only get worse as we go along. Hello mutant rebels! 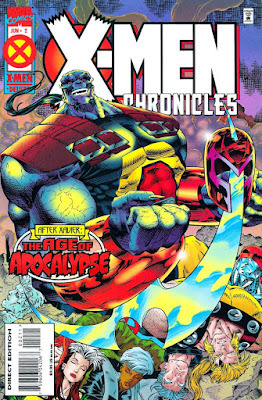 In this episode, extra Horsemen Chris (@AceComics) and Reggie (@reggiereggie) return to the time that might have been in part three of their look at Marvel Comics' 1995 X-Men event, Age of Apocalypse! 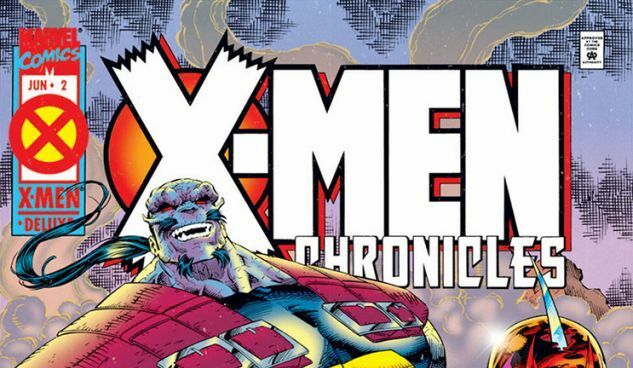 After some recap, they read both issues of X-Men Chronicles, with special conentration on #2 by Howard Mackie and Ian Churchill! Then, our pen slaves close out the final issues of Astonishing X-Men, Factor X, Generation neXt, and Weapon X, providing biographies for all new characters (and creators) encountered along the way! We're halfway through this huge comic book event, so don't fall asleep during one of Magneto's monologues! Aw, who could blame ya? 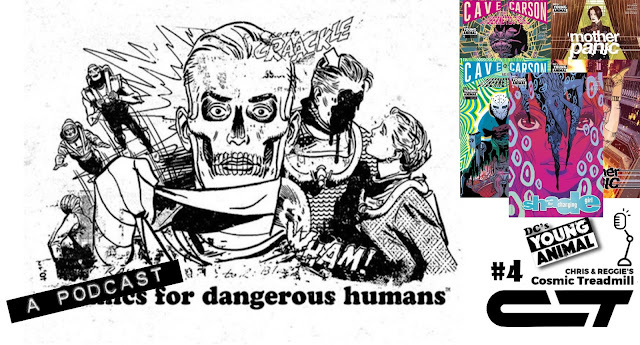 Greetings, Dangerous Humans! 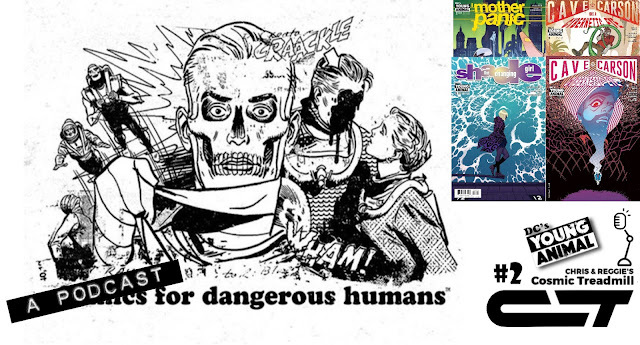 As we are currently in what might just be the final month of DC's Young Animal imprint, your Young and Animalistic hosts, Chris (@acecomics) and Reggie (@reggiereggie) thought it might be fun to share with you their initial thoughts on the launch! In this extra-sized (or, over-sized) episode they look at all four "number one" issues. Since the Young Animal launch was staggered from September-November, 2016... there are also a couple of "non-number one" reviews in there as well.